Experienced in preparing memoranda describing the salient points of foreign-language documents, as well as summary and/or excerpt translations covering the most relevant aspects of those same documents. 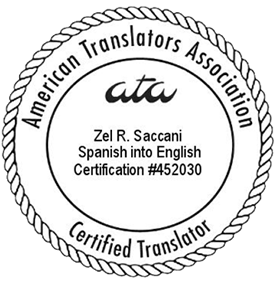 E-mail zel@slbt.net or call (956) 465-8282 for expert legal and business translations! Saccani Legal & Business Translations, Inc.
© 2018. Saccani Legal & Business Translations, Inc.